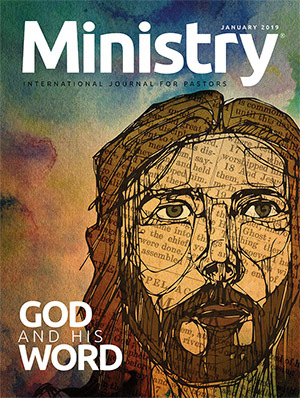 J.R. Spangler is editor of Ministry Magazine. This is the most difficult writing assignment I've ever had. Why? Because Dr. Desmond Ford and I have been close friends for the past fourteen years since we first met at an Andrews Seminary Extension School on the Avondale College campus in Australia in December of 1965. For two months we spent hours together almost on a daily basis. As I recall, most of our discussions centered upon improving our skills as ministers through the study of the Scriptures and wide reading. A second major topic of our discussions was related to health-reform principles. I give credit to Des (his friends know him as Des) for impressing my conscience with deeper and broader concepts of healthful living. Practicing them reduced me rather drastically ! By cutting my calorie intake and adding exercises, I lost some forty pounds in two months and never felt better in my life. It was difficult, if not impossible, to talk with Des sitting down! Rather, we talked while we walked. I'll never forget those precious hours we spent together. Since that time we have corresponded frequently, and on several occasions have had opportunity to be together again. I will ever be indebted to him for starting me in the direction of the more abundant life. This is not to say that I have always "kept the faith" in practice of proper health habits, but something happened to me during my visit with him in Australia that has repeatedly retrieved me from failure and brought me again and again to the practice of true health principles. Des has been a tremendous influence on me in another area. I refer to insights on the righteousness-by-faith doctrine. During the past several years we have been together on a number of occasions and have discussed this sublime subject at great length. I ought to make it clear that I am not in full agreement with Des on some positions in this area, nor on certain methods of presentation that I feel are extreme. Yet, through his influence and that of others, I have come to the unalterable conviction that the Ad vent Movement needs to place greater emphasis on the great theme of justification by faith alone through the merits of our Saviour, Jesus Christ. This is not to say that we should minimize sanctification, but rather that we need to elevate the truth of justification to its rightful place. If this is done in a properly balanced way, the result will be the raising, not lowering, of standards. If justification by faith is the third angel's message in verity, then it is our duty and privilege to preach it more forcefully than ever before. In this conviction and under standing, Des has been a genuine blessing to me. I could wish above everything else that what I have just written could be the conclusion of my editorial rather than its introduction. But recent happenings force me to set forth a few historical points, as I understand them, outlining Des's problems with the church regarding his particular theological views on the sanctuary and related doctrines. The controversy started at an Adventist Forum meeting on the Pacific Union College campus, October 27, 1979. (Dr. Ford was on loan to the college from the Australasian Division and Avondale College, where he had been head of the theology department.) Although at first reluctant to do so, Dr. Ford allowed Forum leaders to persuade him to speak on his beliefs concerning the investigative judgment in the heavenly sanctuary and how they differed from commonly accepted Adventist positions. The meeting has had far wider repercussions in the Adventist world than could have been foreseen by those involved. Dr. Ford explained that his variant viewpoint could be traced back about thirty-five years, to the time when he was still an Anglican. He was interested in Adventist teachings and had begun reading the writings of Ellen White. At the same time he was studying the book of Hebrews. Said Dr. Ford to the Forum audience: "And as I was reading Hebrews 9 that day I said, 'That's strange, this is different to what the Adventists are saying. There is a problem here.'" He admits that the problem was not solved to his satisfaction by the time he was baptized and has not been since. Just why Dr. Ford chose the October 27 Forum to bring his private views on this issue to the attention of the Adventist public is not clear, although he has stated on several occasions that a reason for his public presentation of his beliefs was to counteract the work of Verdict Publications, a dissident organization that not only has energetically promoted Ford's tapes and materials but has views strikingly similar to those of Ford on the sanctuary doctrine. I must make it clear that Des consistently denies any collusion with this group. Personally (and I speak for myself only), this denial puzzles me. In the first place, how could his presentation on October 27 be intended to answer the attack this group was making on the church when their views are seemingly so compatible? Second, why has Dr. Ford consistently refused to disassociate himself clearly from this group by simply refusing them permission to circulate his materials? 1. The validity of the year-day principle in understanding time prophecies. 2. The teaching that in the context of Daniel 8:14 it is the sins of the saints that have defiled the sanctuary and that necessitate its cleansing. 3. The translation of the Hebrew word nisdaq in Daniel 8:14 as "cleansed." 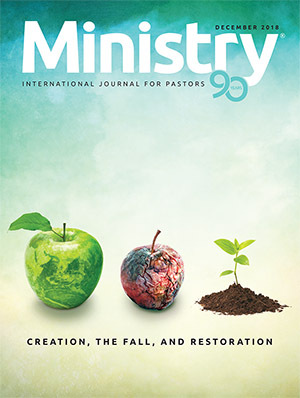 Dr. Ford's major thesis, however, was that the Day of Atonement is tied so closely to Hebrews 9 and 10, that when these chapters seem to speak of Christ's appearing in the presence of God in the Most Holy Place at His ascension in A.D. 31, it clearly points to the beginning of the antitypical day of atonement—an event that does not involve a work of investigative judgment. Indeed, according to Dr. Ford, there is no investigative judgment beginning in 1844 as Adventists and the writings of Ellen G. White have always held. What happened in 1844, according to his view, was the raising up of the Adventist people to proclaim the gospel in its fullness so that all who hear will be judged by their response to that gospel message. The traditional Adventist understanding of 1844, with its change of ministry by Christ from the holy place to the Most Holy Place of the heavenly sanctuary, Dr. Ford characterizes as a doctrine based on shifting geography or a movable throne of God. To back up his position, he quoted some Ellen White references that in his view clearly teach that Christ went "straight into the Most Holy Place" at His ascension. When these quotations were later subjected to careful study, it was felt by some that he had used them out of context and in contradiction to Ellen White's forthright position as found in such extended passages as The Great Controversy, pages 409-432. If Dr. Ford had used these statements to indicate only our free access to the Father through Christ at His ascension, there would be no problem. But to use these references to deny Ellen White's own clear position on 1844 and the beginning of a second phase of Christ's highpriestly ministry is to take them out of context. In his PUC presentation Des noted that beginning in the 1950's he had said as much about these ideas as he could and had published a few articles that touched on this problem. But he knew, he said, that "if I was very frank it would never be published." 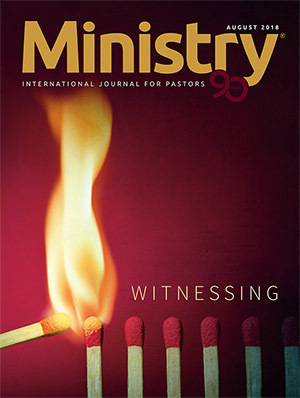 Although the applause given Dr. Ford at the conclusion of his Forum presentation indicated general acceptance and appreciation of his remarks by that particular audience, his open challenge to the church's longstanding interpretation of Daniel 8:14 and the investigative judgment, as well as the implications of his view for the role and teachings of Ellen White, created a stir in Adventist circles. As the furor grew, Dr. Jack Cassell, Pacific Union College president, and Dr. Gordon Madgwick, the academic dean, counseled with denominational leaders in Washington, D.C., on November 28, 1979, at a meeting initiated by the leadership of the Pacific Union Conference and the Pacific Union College administration, not by the General Conference. This consultation with denominational leaders resulted in Dr. Ford's receiving a leave of absence from his teaching responsibilities at PUC in order to research and write his views for presentation to a study committee to be set up by the General Conference. On December 20, 1979, the Adventist Review published the announcement that Dr. Ford was to be given a six-month leave of absence to do research for a position paper on the sanctuary doctrine. The plan included the presentation of his views to a broad-based committee of Bible scholars, teachers, and denominational leaders who would meet with Dr. Ford periodically to see whether perhaps some Biblical evidence had been over looked that would require attention by the denomination. Dr. Ford and his wife, Gill (later joined by their son Luke), moved to Washington, where the General Conference put an office at his disposal, along with such facilities as the White Estate, the Archives, and secretarial help. During the first six months of 1980 he produced a six-chapter document of nearly 1,000 pages, including appendixes. Dr. Richard Hammill, a vice-president of the General Conference, chaired a special fourteen-member guiding committee set up to meet with Dr. Ford and discuss the various chapters of his manuscript as it was being prepared. The majority of those on the committee were scholars in Biblical studies and theology. This committee met three times—April 4-6, at General Conference headquarters in Washington, D.C.; May 29 and 30; and June 15 and 16, at Andrews University. The function of this committee was strictly advisory. No vote or consensus was taken. As a member of this fourteen- member committee, I can testify to the Christian atmosphere and the open, frank spirit that encouraged free discussion on the various points. It was a most unrestricted committee, with each member speaking frankly and sharing his personal feelings on all points of doctrine under discussion. Dr. Hammill presided with a rare combination of dignity and humility. His quiet, calm spirit influenced us in a very positive and effective way. Even though on the part of some there were certain disagreements with Dr. Ford's positions (as well as disagreements at times among commit tee members themselves), there was an ever-present feeling of fellowship and love. Earnest prayers seeking God's direct guidance through the influence of His Holy Spirit preceded each session. Attempts were made to guide Dr. Ford in his exegesis, use of sources, and conclusions. Dr. Hammill requested committee members to supply written responses to each section of the manuscript. Thus, besides the verbal responses during the meetings, there were those who offered their critiques in writing prior to each session. As Dr. Ford wrote the final draft of his document, we hoped he would take into consideration at least some of the suggestions offered. But when the final manuscript came out, it was a definite disappointment to find that there was no apparent change in any theological position. In other words, after meeting with Des for approximately fifty hours, during which time numerous suggestions both spoken and written were shared with him, the committee was unable to find any evidence that he had accepted a single suggestion. In fact, in some instances, instead of accepting suggested changes, Des added extra pages to his document to give additional arguments for his original position. Frankly, this attitude mystified more than one of the committee members. In all honesty I must state that Des's unchangeable and inflexible stand on every position, major or minor, seemed to give the impression of an attitude of inerrancy. This is especially true when I consider the way suggestions were made to him. No attack, no argumentation, no arm twisting, and no coercion occurred to motivate one to be come stubborn and unyielding. Because of my friendship with Des, and because of my background as an evangelist, I probably came across as the most vocal in the committee session in terms of attempting to reason with him person ally. But my scholarly brethren on the committee used such tact and academic expertise in pointing out suggested changes, that I felt Des would surely yield at least in certain rather insignificant points. But alas, nothing was yielded. Following the three meetings of the guidance committee with Dr. Ford, materials were sent to a large committee of 125 individuals who had been appointed previously to review the final draft of his document. In preparation for the meeting of this committee, copies of Dr. Ford's document of almost 1,000 pages, as well as other materials relating to questions he had raised, were mailed to each member about the first of July. AH committee members were urged to give ample and careful study of each document. The committee met August 10-15 at the Colorado Conference's Glacier View Youth Camp nestled 9,000 feet high in the Rockies. In his opening address on Sunday evening, August 10, Neal C. Wilson, president of the General Conference, gave a cordial welcome to all delegates. He observed that in spite of a large attendance with representatives from all parts of the globe, some restrictions had to be placed on invitations to attend this historic committee meeting. He pointed out that some members were unable to attend for sickness or other reasons (of the 125 who were appointed to serve, 114 attended). Pastor Wilson pointed out that many faithful church members were fasting and praying for God's guidance during this special meeting. In introducing the work of the committee he remarked that we in attendance should examine ourselves and ask for a special outpouring of the Holy Spirit. He spoke of the fact that there were some who felt that the meeting was unnecessary and others who felt it was dangerous for the church to enter into such a discussion. He also stated that never had a comparable meeting been held in the history of the church; prior doctrinal challenges had been handled through smaller study groups. The president outlined in some detail the background of the situation that was now culminating in the Glacier View Sanctuary Review meeting. He reported on the formation of a small guiding committee of fourteen individuals to assist Dr. Ford in his research and called on Dr. Richard Hammill to give a report. Dr. Hammill reported that the guiding committee was formed, not to force its views on Dr. Ford, but to provide for an exchange of ideas and to help Dr. Ford by pointing out areas in his document that it felt needed changing. He made it clear that Dr. Ford's manuscript is his work and does not necessarily reflect the guiding committee's views. He also stated that there were areas in Dr. Ford's manuscript that needed continuing study. Dr. Hammill testified to the fact that he had long been aware of certain problems in the areas under consideration. Some he had studied through to his satisfaction; on others he was willing to wait for more light. "It is not a light matter," he declared, "to deal with basic doctrines of the church." The president then extended a welcome to Dr. Ford and his wife, Gill, who was present. He also declared that Dr. Ford was not on trial, but that his ideas were. He also made it clear that Dr. Ford was not a member of the committee. The president stated that it was his wish that the group would reach decisions on certain issues. This was not intended to be an open-ended meeting. He wanted to know what was central and what was peripheral. He then stated, "I want you to be honest and say what you think. You have immunity in this meeting! I urge you to be responsible individuals, since some of you will be quoted or misquoted. I also want to make it clear that the church is not searching for a position and that the church is not on trial. The burden of proof is for others to prove that we are wrong. Theologians are partners with us. They alone do not make the church's decisions in the area of doctrine and theology." He also pointed out that articles appearing in the Adventist Review prior to the meeting did not constitute a calculated strategy. The Review editors did what was expected of them by leadership. 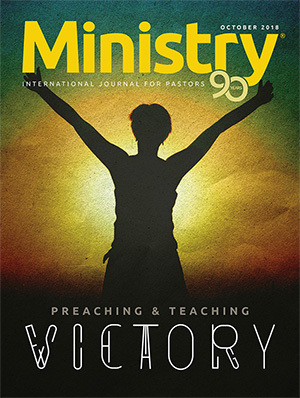 "We would expect articles that would uphold the position the church holds. We do not expect the Adventist Review to give equal time to positions opposed to the beliefs of the church, or to new light until it has been cleared by other groups." He included in his remarks a brief background of the Daniel Committee, which had been appointed by the General Conference back in 1961. Surviving members of that committee had been invited to attend the present review committee. A report of the Daniel Committee had been given to the General Conference officers in 1966 and placed in a confidential file. Pastor Wilson stated that he had read this report himself for the first time eight months ago. He pointed out that although some had questioned why the report was not made available, it had been felt best not to do so because it was not a unanimous report and therefore to release it would not be in the interest of unity. Thus the problems it dealt with continued to fester. Certain ideas from the 1961 committee had spread and been discussed, creating a rather unhealthy situation. The president pointed out, in contrast, that the document distributed to the review committee had been widely circulated, with pirated copies being offered for sale even though it was intended for the study of the committee only. The president next stated that the role and authority of Ellen G. White in doctrinal matters is really one of the basic problems we face—a critical point. 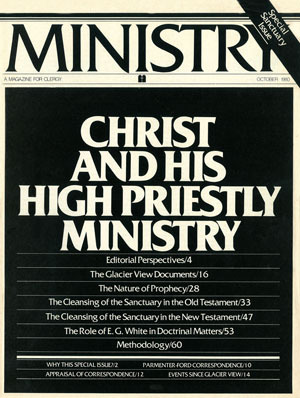 He noted that one of the union papers contained an interview with an Adventist theologian who stated, "The big issue of the '80's is the role of the Spirit of Prophecy in the church." Pastor Wilson suggested that perhaps the committee should reorder the subjects that it would be discussing and move the items regarding Ellen G. White earlier in the week. In his concluding remarks, Pastor Wilson reassured the minds of the committee members with the promise of God's guidance in Psalm 32:8: "T will instruct thee and teach thee in the way which thou shall go: I will guide thee with mine eye.'" On Sunday evening a questionnaire of twenty-one multiple-choice questions related to the subjects under discussion was distributed to help leadership know where the group stood on the various points. The same questionnaire was given again on Thursday to ascertain whether any shift had taken place in the thinking of the delegates. 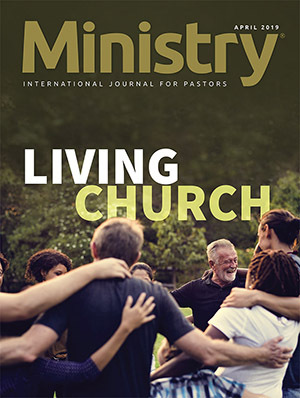 Not every question showed the same progression, but in general a pattern emerged that strongly endorsed the church's fundamental beliefs regarding Christ's ministry in the heavenly sanctuary and the gift of prophecy in the church. At the end of the week there was a shift in the general direction of an even stronger support for our fundamental beliefs. Two factors make a precise comparison impossible: the respondent group was not identical, because of a few late arrivals and early departures; and some respondents to the first survey failed to notice the fifth page of questions. How ever, it is fair to state that the surveys gave a general idea of the review committee's attitude toward the doctrinal positions being discussed. From Monday through Thursday the daily format was the same. The commit tee divided into seven groups of approximately sixteen members each, each designed to contain a cross section of church workers. A sprinkling of scholars, teachers, pastors, administrators, and others were in each study group. Work began at 8:30 A.M. and continued until noon. For three and a half hours, delegates together studied the Bible, prayed, asked questions, and suggested answers. 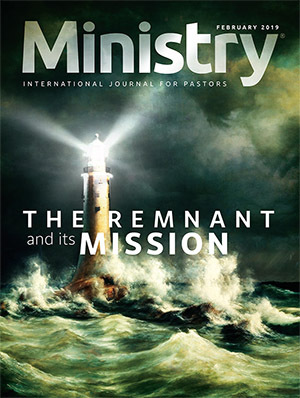 The study questions were in four areas: The Nature of Prophecy; The Cleansing of the Sanctuary and the Investigative Judgment in the Old Testament; The Cleansing of the Sanctuary and the Investigative Judgment in the New Testament; and The Role of the Ellen G. White Writings in Doctrinal Matters. All groups studied and answered the same questions each day. (See below for a complete list of topics and questions.) Each group selected a secretary who recorded the consensus reached on each question. These morning study sessions were precious and outstanding, setting the tone for the day. The uninhibited discussion, the praying together, and the fellowship were both delightful and impressive. Many expressed the earnest hope that this format be followed in future Bible conferences and that such Bible conferences be conducted on a regular basis. The secretaries of the morning study groups read their reports in the afternoon plenary sessions. There was remarkable unanimity, and one could not help sensing that the Holy Spirit was leading in our conclusions. Leadership made a serious attempt to divorce the issues from a personality. For this reason the original format of the meetings did not include time for Dr. Ford to speak. Objectivity was a stated goal. However, a few delegates re quested leadership to give Dr. Ford time to answer questions from the floor. They felt that if he were not permitted to defend his work personally, some church members and leaders might misunderstand. Perhaps the most poignant moments during the entire session were these occasions when Dr. Ford fielded questions. Some delegates made public, emotional appeals for him to yield some of his doctrinal positions. Others made forth right challenges to his theology. How ever, all participants maintained a spirit of Christian composure and calm, in spite of reports to the contrary. Nevertheless, some felt that it might have been better if the original plan of dealing exclusively with Dr. Ford's document had been followed. At the evening sessions various papers were presented, followed in some cases by discussion. The topics covered during these sessions were as follows: (a) Mon day evening—"Daniel and the Judgment," by Dr. William Shea; (b) Tuesday evening—''Theological Implications," by Dr. Fritz Guy; (c) Wednesday evening—"Pioneers, Pantheists, and Progressives: A. F. Ballenger and Divergent Paths to the Sanctuary," by Bert Haloviak, and a synopsis of doctoral research studies by Roy Adams; (d) Thursday evening—no formal meeting. During the week certain smaller committees were also put into operation. (See page 24 for a listing.) First, a small committee synthesized all seven of the reports given by the secretaries of the morning study. Its work produced the consensus statement "Christ in the Heavenly Sanctuary" (see page 16). 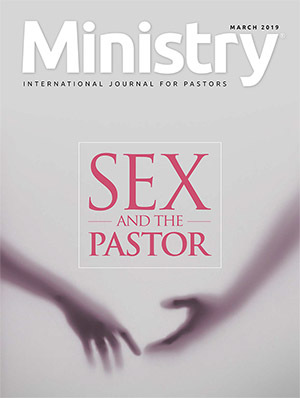 An other small committee prepared the statement "The Role of the Ellen G. White Writings in Doctrinal Matters" (see page 19). Finally, a third committee prepared a statement dealing with some major points of difference between Dr. Ford's position as stated in his document and the church's position as found in the statement of "Fundamental Beliefs" voted at Dallas and expanded by the consensus statement. This document came to be referred to as the Ten-Point Document (see page 20). A twenty-eight member screening committee examined, discussed, and approved documents prepared by the smaller committees. 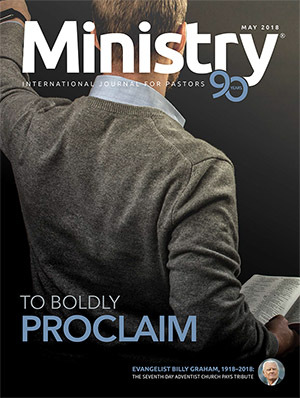 On Friday morning, August 15, the plenary session met to consider the consensus statement "Christ in the Heavenly Sanctuary" and the statement "The Role of the Ellen G. White Writings in Doctrinal Matters." Both papers were distributed, read, discussed, and approved by the entire committee. The Ten-Point Document outlining major differences between the church's position and that of Dr. Ford was read to the plenary session, but it was neither distributed nor voted on. Leadership wanted to give Dr. Ford an opportunity to read this document to make certain his views were rightly represented before it was duplicated and circulated. In concluding this part of the report, I can only say that this week of meetings was for me one of tremendously mixed emotions, a strong mingling of joys and sorrows. Both the low and the high notes of our emotional keyboards were played daily. The magnificent mountain environment brought inspiration. The Christian fellowship brought enjoyment. The deepest concern, of course, was for Des and his family. Every prayer group I participated in included special pleas to our heavenly Father to send His Spirit in to unify all of us in these crucial areas of doctrinal belief. The Sanctuary Review Committee ended its work shortly after noon on Friday, August 15. Only Heaven knows the deepest thoughts and desires of those who boarded home-bound planes that peaceful preparation day. At 4:00 P.M. on Friday, August 15, after the Sanctuary Review Committee had officially ended its work, a group of nine individuals held an informal meeting with Dr. Ford and his wife. No tape recording was made of this meeting, but I made copious notes that along with other input from committee members form the basis of these remarks. Neal Wilson, president of the General Conference, chaired the meeting. Others present were: Ralph Thompson, General Conference secretary; Francis Wernick, General Conference vice-president; C. E. Bradford, vice-president of the General Conference for North America; Keith Parmenter, president of the Australasian Division; Charles Hirsch, General Conference Education Department director; Duncan Eva, retired General Conference vice-president on special assignment for the president; A. N. Duffy, Australasian Division Ministerial Association secretary; and J. R. Spangler, General Conference Ministerial Association secretary. Mrs. Ford was not present for the beginning of the meeting; however, she came in later. Pastor Wilson opened the meeting, which lasted a little more than three hours, by stating that he felt bad about having such a meeting. He stated kindly that it was impossible for the church to agree with a number of the doctrinal points advocated by Dr. Ford in his document. He referred to the fact that the Sabbath was to begin in a few hours, and expressed the hope that reflection on this coming day of rest would enable Dr. Ford to reach some conclusions that would be helpful to the church. 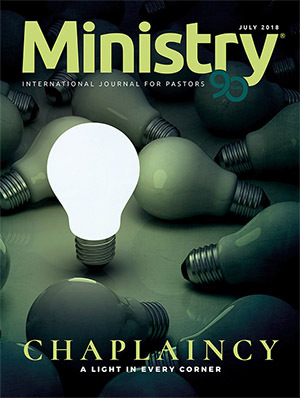 Following an earnest prayer by Dr. Charles Hirsch, Pastor Wilson outlined three major problem areas: (1) attitude; (2) judgment; and (3) theology. Regarding attitude, he pointed out to Dr. Ford that it was difficult for the church to help him unless there was a willingness on his part to accept counsel. If he considers himself to be the final authority, ever the teacher and never the learner, the problem is aggravated, and the church finds it extremely difficult not only to deal with him but to understand him. He then mentioned Dr. Ford's charisma and how this quality causes people to rally about him regardless of the Tightness or wrongness of his doctrinal positions. He referred to his influence on young people, which could cause them to feel that he was the sole person who could lead the church out of what some see as a theological morass. Turning to the second point, that of judgment, Pastor Wilson referred to Dr. Ford's many gifts—his seemingly photographic memory and his ability to communicate readily. With such gifts he has been of great help to the church, but he could have been of much greater help had he always exercised more careful judgment. It is easy to make statements, he told Dr. Ford, set things in motion, and then step back and claim there is nothing that can be done. As a result of such action resulting from poor judgment, a crisis has been produced in the lives of certain individuals. Regarding theology, the third point, he gave Dr. Ford the background of the small committee and its work on the Ten-Point Document dealing with the major differences between Ford's position and that of the church. He told Ford that the church wanted to be fair by showing him this document prior to its publication to make sure his positions were correctly represented. The chair man expressed to Dr. Ford the hope that after reading this document he would admit that his positions were tentative. He then handed the Ten-Point Document to Dr. Ford, who, after reading it, stated that with the exception of points one and four, it was a fair presentation of his position. It is understandable why Dr. Ford objected to number one, since it questioned his methodology in the use of references and sources. See pages 60 to 63 for several examples substantiating this criticism as illustrated by Dr. Ford's use of Ellen White sources. Dr. Ford also took mild exception to point number 4 as an incomplete reflection of his views. He was asked to supplement this statement, which he did. After incorporating his suggestions on this point the next week, I read the statement to him on the telephone back in Washington and asked whether it now rightly represented his views. He ex pressed satisfaction with the point as amended and said that the document as a whole was a very fair and representative statement of his position, but that, of course, he still had a question about the first point. Several members of the informal group meeting with Dr. Ford Friday afternoon questioned him regarding his position on the role of Ellen G. White in interpreting Scripture in the area of the sanctuary. Dr. Ford replied, in effect, that the statement of "Fundamental Beliefs" voted by the church at Dallas showed a very definite shift away from Ellen White's interpretation in the area of the sanctuary. He declared that the statement on the sanctuary voted at Dallas says nothing about two apartments in the heavenly sanctuary. He professed to be able to feel very comfortable preaching under the umbrella of the consensus paper just voted at Glacier View. In his opinion that paper showed a definite shift away from Ellen White's interpretations of the sanctuary. He said that the church had moved considerably from its past position toward his direction, and that in a few years the church will eventually come to see things as he does. Another member of the group asked him whether he was aware that quite a number of young workers who were trained by him at Avondale College in Australia say that if Dr. Ford leaves the Adventist Church, they too will leave. Des replied that he was aware of this and that he had no plans to leave the Adventist Church. Both he and his wife, he said, were aware of this feeling among some younger workers and that this made them sad. He stated several times that he would be willing to write a statement for the Adventist Review and the Australasian Record urging such workers not to leave the church. Several appeals were made to Dr. Ford along the following lines—"Please come with us, Des. For the sake of the church and its people and for your own sake. 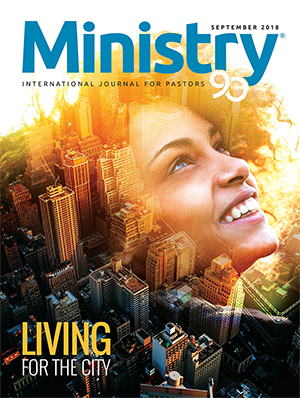 Your ministry is of great value to the church." 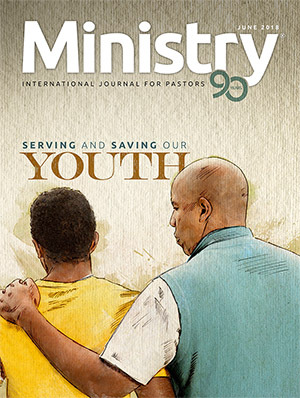 At one point, Pastor Parmenter, president of the Australasian Division, gave a tentative outline of the procedures he was suggesting to the division for the handling of the situation. He read to Des and the group a handwritten letter containing four propositions for his consideration and response. This letter was eventually put into typewritten form and given to Des. Following the reading of the letter, strong appeals were made by both Pas tors Parmenter and Wilson urging Des to pray about the matter, to think it through carefully, and not to be hasty in answering. They advised him to take all the time he needed. Des, however, responded immediately that he must be true to his conscience. He could not lie. He and his wife did not need any time to think over their response to the letter that was just read to them, he said. They had already talked over the matter. He felt we had made it easy for him to answer, he said, but he could not conscientiously agree to the requests made in the letter. Again he expressed his regret and sorrow for the trouble he had brought to leadership. He ventured the opinion that the relation ship between himself and the church was not greatly sundered and declared he would do what he could to prevent rupture. He stated that he understood what had been written but that he could not accept the conditions set forth. Pastor Wilson asked, "How far can you go?" Des replied that he believed he could still be a blessing to the church, but that he could never be a blessing if he went against his conscience. He expressed again his sorrow for the trouble he had caused, and reaffirmed his willingness to write an article stating so for the Adventist Review. He stated further that the brethren had done the right thing, and that he didn't blame them for what they were doing. 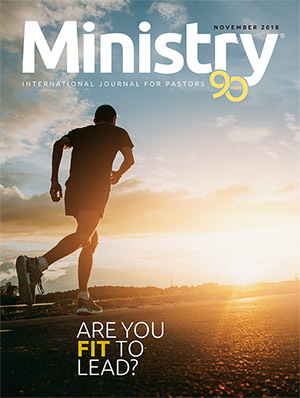 Dr. Ford was then asked whether his doctrinal positions were more than tentative, to which he responded that the brethren had made tremendous progress in the past few days and that the church's position was closer to his than it had ever been before. He expressed the thought that if we have come this far in four days, imagine how far the church will go in four years in changing its position. Mrs. Ford was present during the latter part of the meeting and was given opportunity to speak. She expressed her feelings concerning the entire situation and referred to both positive and negative aspects of the treatment they had received by the church and by individuals. She defended her husband's theological positions and his loyalty to the church. She spoke of malicious opposition, as well as friendliness and help. The meeting concluded with Pastor Parmenter restating several of the propositions in his letter that Des would need to consider and respond to. Des replied that he realized leadership must take a stand and that regardless of the outcome he would neither be bitter nor complain. Many of the group appealed to Des not to make a decision that evening. The appeals almost constituted pressure on the Fords to hold in abeyance any decision at that moment. They finally re quested the group to cease their urging for a delay in a decision. They had made a decision. It is most unfortunate that rumors have circulated that the brethren asked for Dr. Ford's credentials during this meeting. The exact opposite was true! He was urged not to make any decision, but to pray earnestly about the matter and take time to think things through. No deadlines were set. No credentials were asked for. No statement was submitted to him for signing. A certain indescribable sadness hung over this meeting. All present exhibited the spirit of Christ in their comments. A quiet, conversational tone pervaded the words of all who spoke. A spirit of sympathy, as well as concern, could be almost physically felt. In closing, as we stood around the tables in the form of a square and a benediction was offered, minds undoubtedly probed the future (as mine did) to that day when the secrets of men's hearts will be revealed before the King of kings. Decisions were made that day, perhaps decisions that only recon firmed previous ones, but decisions nevertheless that will reach far beyond to morrow, far beyond the months and years to come, to that time we call eternity. As we quietly shook hands with the Fords, more than one pair of eyes needed wiping—and that statement included my eyes. —J.R.S. the time of the first advent of Christ? If so, what effect does this have on our interpretation of the time prophecies of Daniel? B. Does the Old Testament set forth the two advents of Christ separated by an interim of many years? C. Is the New Testament church predicted or acknowledged in the Old Testament? D. Does the New Testament indicate the likelihood of a first-century return of Christ? E. Is the year-day principle a Biblical teaching? F. Do the time prophecies of Daniel contain conditional elements or are they exclusively unconditional? G. To what extent do the prophecies of Daniel permit application to multiple situations or fulfillments? A. What are the implications of the linguistic and contextual factors of Daniel 8? 1. What is the meaning of nisdaq? 2. What is the relation of nisdaq to the context of Daniel 8? 3. Can nisdaq be applied to the services of the Day of Atonement and to the cleansing of the heavenly sanctuary beginning in 1844? B. What relationships are there between Daniel 8 and Daniel 7 and 9? C. What are the interrelationships of Daniel 8 with Leviticus 16 and Hebrews 8 and 9? D. Where does the Bible teach that in the services of the Hebrew sanctuary the offering of a sacrificial animal with confession of sin transferred sin to the sanctuary and defiled it? A. What is the meaning of "within the veil" of Hebrews 6:19, 20, and 10:19, 20? B. Does the book of Hebrews teach that there are two phases of Christ's ministry in the heavenly sanctuary? C. What is the meaning of Hebrews 9:23? D. Is there support in the book of Revelation for our teaching on the investigative judgment? E. What is the meaning of "judgment" in Revelation 14:7? A. What is the authority of the writings of Ellen G. White in the interpretation of the Bible? bestowed to supersede the Bible; for the Scriptures explicitly state that the word of God is the standard by which all teaching and experience must be tested" (The Great Controversy, p. vii) mean that her writings are "pastoral" in nature and are to be used mainly for spiritual guidance and upbuilding, and as divinely given direction for the conduct of the work of the church? D. Does the Ellen G. White statement "... there is need of a return to the great Protestant principle the Bible, and the Bible only, as the rule of faith and duty" (The Great Controversy, pp. 204, 205) indicate that we should at this present meeting make our decisions on the doctrinal questions that have been raised only on the basis of explicit and agreedon teaching of the Bible? ble of the ten virgins in The Great Controversy, pages 393, 394, 400-403, a proper basis for supporting a Biblical doctrine?